There are a variety of types of chiropractors and theories of chiropractic: we appreciate you taking your time to learn about what we do here at Batson Chiropractic. Dr. Batson is known for providing personalized care for each patient’s condition. As a patient at Batson Chiropractic, you will receive a personalized, one-to-one evaluation and treatment by Dr. Batson. Dr. Batson believes no two conditions are the same and does not offer pre-set treatment plans, diagnosing and treating the cause of your individual condition and not your symptom. Care is determined on a patient-by-patient basis allowing Dr. Batson to treat each patient as the individual that they are. Depending on the condition or injury, some of the following techniques and procedures may be used to restore a patient back to good health and reduce pain. 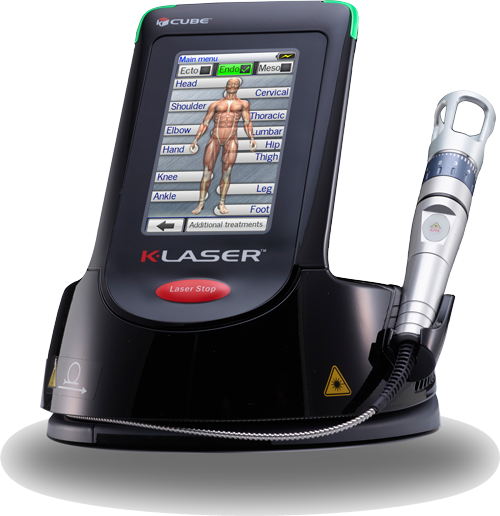 K-Laser is a DRUG FREE, SURGICAL FREE SOLUTION to your health needs. K-Laser is beneficial for both Acute and Chronic conditions and is NON-ADDICTIVE with virtually no side effects. K-Laser Therapy is painless, with the patient experiencing a soothing warmth or tingling sensation to the treatment region. K-Laser Therapy can be utilized in conjunction with other therapies with beneficial result and even enhancing the therapies due to the reduction of inflammation, edema, stiffness, pain, and accelerated healing time. Dr. Batson is utilizing the K-Laser Cube 4, a state-of-the-art, Class IV therapeutic laser which delivers specific red and near-infrared wavelengths of light to induce a photochemical and therapeutic effect on tissues. Light energy passes through the skin into the cell membranes, initiating a process called Photobiostimulation. Physiological effects include increased circulation, reduction of inflammation, reduction of pain, reduction of swelling, and enhanced tissue healing. Laser Therapy has been utilized in Europe since the 1970s and received clearance by the United States Food and Drug Administration in 2005. Therapeutic Laser Effects: During each painless treatment session, laser energy applied to the specific body region increases circulation, drawing water, oxygen, and nutrients to the damaged area. This creates an optimal healing environment that reduces inflammation, swelling, muscle spasms, stiffness, and pain. As the injured area returns to normal, function is restored and pain is relieved. ​Video-Fluoroscopy: is an x-ray procedure utilized to view the spine in dynamic motion. A patient moves through a series of predetermined motions in order for Dr. Batson to observe the biomechanics and/or biomechanical dysfunctions of their spine. These stored views allow for a more accurate diagnosis of the vertebral subluxation/dysfunction than static X-rays, MRI, or CT.
Static X-ray: X-rays taken by Dr. Batson allows for identification of any malformations, pathologies, spinal distortion/misalignments that could also be attributing to pain or dysfunction. Variable Frequency Adjuster: Once the diagnosis has been made, Dr. Batson believes in precisely identifying, targeting, and treating the problem area. 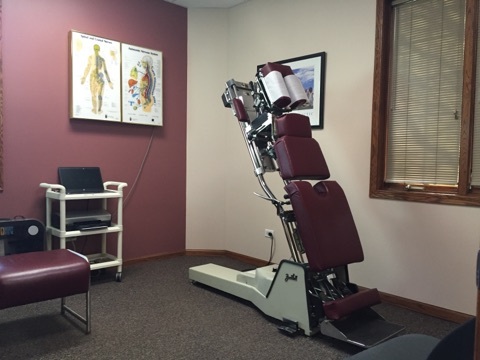 Through the Variable Frequency Adjuster, Dr. Batson is able to work on a specific vertebra or joint individually, maximizing results, restoring function, and minimizing stress to other vertebra or joints. Lumbar Decompression Therapy (LDT)™ re-stabilizes the spine by naturally re-educating the disc and surrounding spinal ligaments, retracting disc bulges and disc herniations, rehydrating the disc, and reducing the pressure on the spinal cord or spinal nerve root which carry the vital neurological impulses, ultimately reducing pain and increasing function. Strength Restoration Therapy™: Is a closed stabilization exercise therapy process achieved through increased lumbar para-spinal muscle strengthening due to the fact that most back complications and disc herniations are thought to result from mechanical spinal instability and disc-use atrophy, leading to pain. Each therapy session/exercise regimen is individually tailored to each patient's needs.